​AspenTech is the world's leading supplier of software that optimizes process manufacturing. With a global presence, you can assume every refinery is using some components of their engineering process control software applications. Aspen technology had a SharePoint farm that was mission critical. It was SharePoint 2003 and its stability was less than one hundred percent. In 2006 they contacted us about managed SharePoint consulting services, and we began an engagement for three years to keep their SharePoint highly available 24 hours a day. As a worldwide organization, maintenance windows for AspenTech were scheduled tightly and rigorous change control policies were standard. This meant very careful planning and job estimates sometimes requiring documentation of bench tests to verify process times. We essentially functioned as an extension of their IT department as subject matter experts for SharePoint technologies. We provided day-to-day preventive maintenance of their mission-critical 2003 intranet named Sherlock. We assisted with enhancements and creation of "Baker Street:", Provided 24/7 monitoring, and help desk calls from worldwide users. Additionally, we did an in-place upgrade to their SQL server, and we deployed a new 2010 partner extranet for their partners to access using forms-based authentication. We reported directly to Todd Sewards, Director of Applications, who made one request of us: "never any surprises." We smiled to ourselves every day at how this summarizes the company's needs from their SharePoint - "no surprises." We worked very closely with their highly professional IT team and application support specialists to coordinate patches, service windows, contingency plans, and farm resource augmentations. We provided general guidance on how best to use SharePoint technologies to meet their business needs as their SharePoint partner. In addition to 24-7-365 SharePoint monitoring, we built a new extranet Portal, routinely handled SQL upgrades and load balanced front-end web servers. 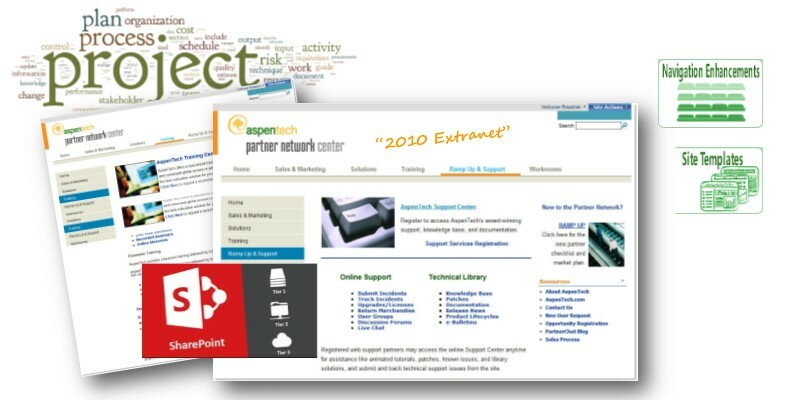 The extranet was a tremendous success in achieving its goals for content distribution and as a learning center.